CappTrio fixed volume pipette is world's only fixed pipette with multiple interchangeable fixed volumes within one pipette unit! The volume mechanism of this fixed pipette is placed in the small, detachable volume knob on the top of the pipette. CappTrio fixed volume pipettes come with 3 fixed volume knobs, allowing you to easily switch from one fixed volume to the other by simply removing the volume knob and putting the other one onto the pipette. 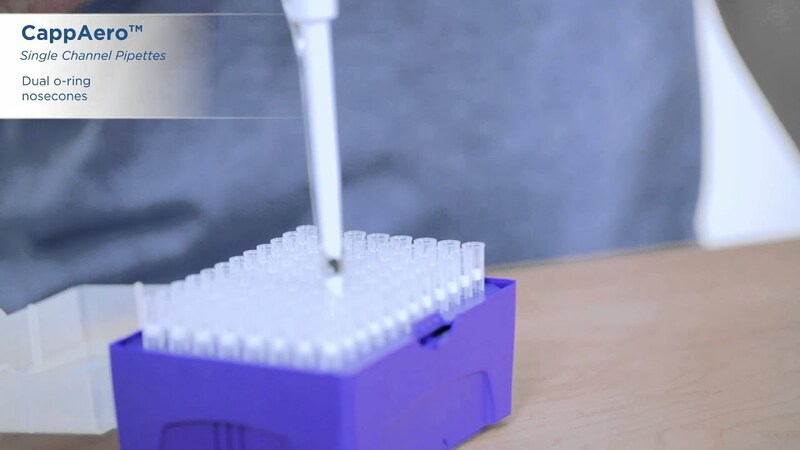 CappTrio fixed volume micropipette is ideal for routine work. All Capp fixed volume micropipettes are fully autoclavable expect for the detachable volume knobs. You can easily clean them with commonly used cleaning and disinfection agents. 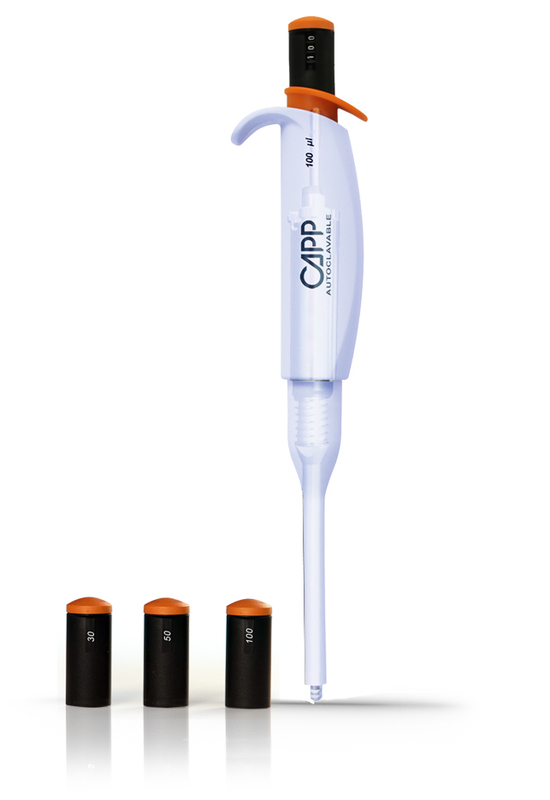 Experience Capp quick volume switch: 3 fixed pipettes in 1! 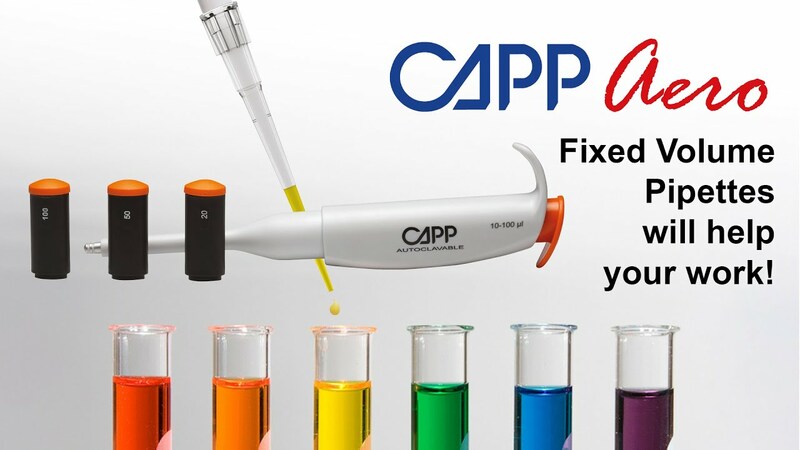 Test CappTrio fixed volume micropipette for free! Supplied with 3 fixed volume knobs to optimize your routine pipetting work. Additional custom made knobs are available at any desired volume range. Large ejection knob for a fatigue free tip ejection experience. Recommended procedure: 20 min. at 121C -no disassembly required. Metal tip cones with double o-rings secure optimal sealing and precision. Compatible with all major pipette tip brands. Low incidence of breakage resulting from accidental dropping or tips mounting. 3 fixed pipettes in one!